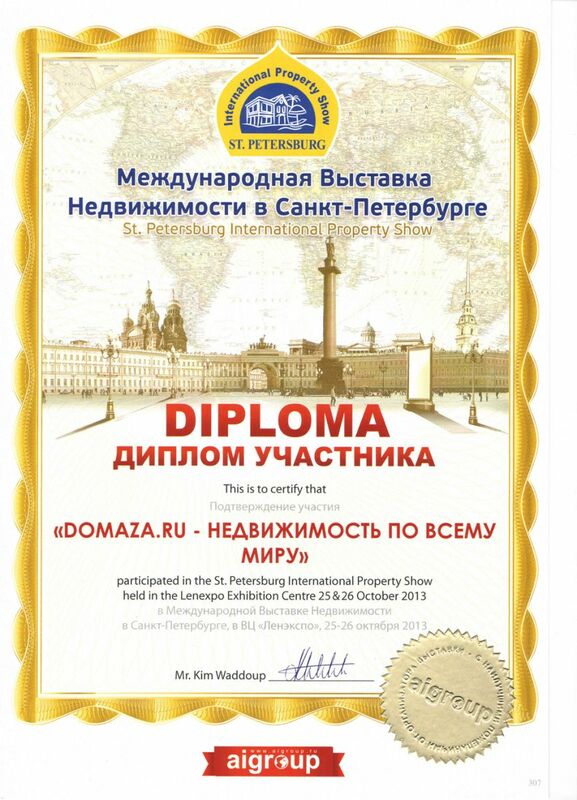 The international property portal Domaza.ru participated in the prominent Saint Petersburg International Property Show, which was held on 25-26 October 2013. The visitors to the fair in Saint Petersburg received numerous copies of the luxury real estate catalogue "Domaza.ru - Недвижимость по всему миру", which is strongly gaining public interest. The luxury magazine includes featured property offers from all over the world. Besides the catalogue, our representatives gave out a significant number of other promotional materials. The participation of Domaza.ru in the prior property fairs provoked tremendous interest, thus the number of visits to the portal is increasing daily and our property database is widening each and every day. Consequently, Domaza continues to be determined to provide its clients with the most comprehensive database for the search of property offers worldwide. On 1-3 November 2013 Domaza.ru will be presented in the Foreign Real Estate Showroom in Saint Petersburg - Петербургская Ярмарка недвижимости, which is expected to provoke even greater interest in the rapidly growing property platform Domaza.